Over the recent months, Tuffa Tanks have supplied several tanks for Petrol, AdBlue and Heating Oil to one of the major sporting events of 2012. 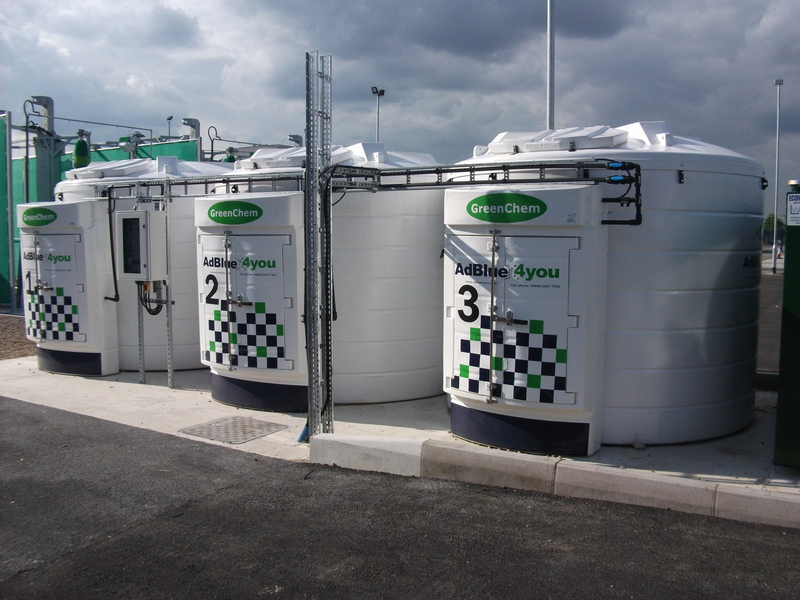 Tuffa supplied Greenchem with 7x 10,000 litre tanks at two locations for the secure storage of AdBlue for this major event. Over 1,300 buses and coaches were bought in for the 8 week operation of transporting athlete’s, guests, spectators, and press etc. Creating a highly efficient logistic system was of key importance for the success of the event, and to meet this efficiency there have been two special refuelling sites built in order to keep the down time during refuelling as short as possible. The tanks were linked in series at two separate locations, feeding many remote dispensers ensuring adequate supply 24/7. The picture below shows three bespoke AdBlue Storage Tanks in situe.